How many economists does it take to charge an electric car? When did you last think about buying a new car? If not recently, then you may be in for a surprise next time you shop around for car deals. First, you will realise that the range of hybrid cars (i.e. cars that combine conventional combustion and electric engines) has widened significantly. The days when you only had a choice of Toyota Prius and another two or three hybrids are long gone! A quick search on the web returned 10 different models (although five of them belong to the Toyota Prius family), including Chevrolet Malibu, VW Jetta and Ford Fusion. And these are only the cars that are currently available in the UK market. But the biggest surprise of all may be the number of purely (plug-) electric cars that are available to UK buyers these days. The table below provides a summary of total registrations of light-duty plug-electric cars by model in the UK, between 2010 and June 2016. Notes: NA: not available. 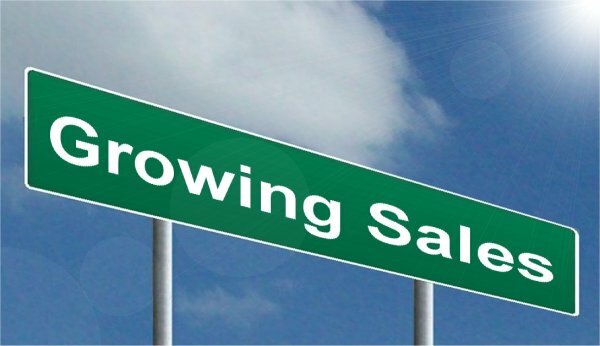 Registrations figures seldom correspond to same sales figure. (1) Registrations at the end of a period are cumulative figures. (2) CYTD through June 2013. In 2010 there were nly 138 electric vehicles in total registered in the UK. They were indeed an unusual sight at that time – and good luck to you if you had one and you happened to run out of power in the middle of a journey. In 2011 this (small) number increased sevenfold – an increase that was driven mostly by the successful introduction of Nissan Leaf (635 electric Nissans were registered in the UK that year). And since then the number of electric vehicles registered in the country has increased with spectacular speed, at an average rate of 252% per year. The cost of lithium-ion batteries has fallen by 75 per cent over the past eight years, measured per kilowatt hour of output. Every time battery production doubles, costs fall by another 5 per cent to 8 per cent, according to analysts at Wood Mackenzie. There is no doubt that more research will result in more efficient batteries, and will increase the interest in electric cars not only by consumers but also by producers, who already see the opportunity of this new global market. Does this mean that prices will necessarily fall further? You might think so, but then you have to take into consideration the availability and cost of mining further raw materials to make these batteries (such as cobalt, which is one of the materials used in the making of lithium-ion batteries and nearly half of which is currently sourced from the Democratic Republic of Congo). This may lead to bottlenecks in the production of new battery units. In which case, the price of batteries (and, by extension, the price of electric cars) may not fall much further until some new innovation happens that changes either the material or its efficiency. The good news is that a lot of researchers are currently looking into these questions, and innovation will do what it always does: give solutions to problems that previously appeared insurmountable. They had better be fast because, according to estimates by Wood Mackenzie, the number of electric vehicles globally is expected to rise by over 50 times – from 2 million (in 2017) to over 125 million by 2035. How many economists does it take to charge an electric car? I guess we are going to find out! How fast will EV market share grow? Using a demand and supply diagram, explain the relationship between the price of a battery and the market (equilibrium) price of a plug-in electric vehicle. List all non-price factors that influence demand for plug-in electric vehicles. Briefly explain each. Should the government subsidise the development and production of electric car batteries? Explain the advantages and disadvantages of such intervention and take a position. So here we are, summer is over (or almost over if you’re an optimist) and we are sitting in front of our screens reminiscing about hot sunny days (at least I do)! There is no doubt, however: a lot happened in the world of politics and economics in the past three months. The escalation of the US-China trade war, the run on the Turkish lira, the (successful?) conclusion of the Greek bailout – these are all examples of major economic developments that took place during the summer months, and which we will be sure to discuss in some detail in future blogs. Today, however, I will introduce a topic that I am very interested in as a researcher: the liberalisation of energy markets in developing countries and, in particular, Mexico. Why Mexico? Well, because it is a great example of a large developing economy that has been attempting to liberalise its energy market and reverse price setting and monopolistic practices that go back several decades. Until very recently, the price of petrol in Mexico was set and controlled by Pemex, a state monopolist. This put Pemex under pressure since, as a sole operator, it was responsible for balancing growing demand and costs, even to the detriment of its own finances. The petrol (or ‘gasoline’) price liberalisation started in May 2017 and took place in stages – starting in the North part of Mexico and ending in November of the same year in the central and southern regions of the country. The main objective was to address the notable decrease in domestic oil production that put at risk the ability of the country to meet demand; as well as Mexico’s increasing dependency on foreign markets affected by the surge of the international oil price. The government has spent the past five years trying to create a stronger regulatory framework, while easing the financial burden on the state and halting the decline in oil reserves and production. Unsurprisingly, opening up a monopolistic market turns out to be a complex and bumpy process. Despite all the reforms, retail petrol prices have kept rising. Although part of this price rise is demand-driven, an increasing number of researchers highlight the significance of the distribution of oil-related infrastructure in determining price outcomes at the federal and regional (state) level. Saturation and scarcity of both distribution and storage infrastructure are probably the two most significant impediments to opening the sector up to competition (Mexico Institute, 2018). You see, the original design of these networks and the deployment of the infrastructure was not aimed at maximising efficiency of distribution – the price was set by the monopolist and, in a way that was compliant with government policy (Mexico Institute, 2018). Economic efficiency was not always part of this equation. As a result, consumers located in better-deployed areas were subsidising the inherent logistics costs of less ‘well endowed’ regions by facing an artificially higher price than they would have in a competitive market. But what about now? Do such differences in the allocation of infrastructure between regions lead to location-related differences in the price of petrol? If so, by how much? And, what policies should the government pursue to address such imbalances? These are all questions that I explore in one of my recent working papers titled ‘Widening the Gap: Lessons from the aftermath of the energy market reform in Mexico’ (with Hugo Vallarta) and I will be sharing some of the answers with you in a future blog. What Has Mexico Gained with its New Energy Model? Mexico’s New President To ‘Respect’ Oil And Gas Reforms, Maintain Energy Alliance With U.S.
Are state-owned monopolies effective in delivering successful market outcomes? Why yes, why no? In the case of Mexico, are you surprised about the complexities that were involved with opening up markets to competition? Explain why. Use Google to identify countries in which energy markets are controlled by state-owned monopolies. Price fixing agreements between firms are one of the most serious breaches of competition law. Therefore, if detected, the firms involved face substantial fines (see here for an example), plus there is also the potential for jail sentences and director disqualification for participants. However, due to their secretive nature and the need for hard evidence of communication between firms, it is difficult for competition authorities to detect cartel activity. In order to assist detection, competition authorities offer leniency programmes that guarantee full immunity from fines to the first participant to come forward and blow the whistle on the cartel. This has become a key way in which competition authorities detect cartels. Recently, competition authorities have introduced a number of new tools to try to enhance cartel detection. If people are concerned by business practices that they think are wrong, they can help put things right. Inside knowledge can be a powerful tool to help the Commission uncover cartels and other anti-competitive practices. With our new tool it is possible to provide information, while maintaining anonymity. Information can contribute to the success of our investigations quickly and more efficiently to the benefit of consumers and the EU’s economy as a whole. Cartels are both harmful and illegal, and the consequences of breaking the law are extremely serious. That is why we are launching this campaign – to help people understand what cartel activity looks like and how to report it so we can take action. This campaign is on the back of the CMA’s own research which found that less that 25% of the businesses they surveyed believed that they knew competition law well. Furthermore, the CMA is now offering a reward of up to £100,000 and guaranteed anonymity to individuals who provide them with information. It will be fascinating to see the extent to which these new tools are used and whether they aid the competition authorities in detecting and prosecuting cartel behaviour. Why do you think leniency programmes are a key way in which competition authorities detect cartels? Who do you think is most likely to blow the whistle on a cartel (see the article above by A.Stephan)? Why is it worrying that so few businesses appear to know competition law well? Which of the two tools do you think is most likely to enhance cartel detection? Explain why. Might changes to the format of the football World Cup facilitate tacit collusion? Earlier this week FIFA, the world governing body of football, announced plans to expand the World Cup from 32 to 48 teams starting in 2026. It is fair to say that this has been met with mixed reactions, in part due to the politics and money involved. However, for an economist one particularly interesting question is how the change will affect the incentives of the teams taking part in the competition. As a result of the change in the first stage of the competition, teams will be play the two other teams in their group. The best two teams in the group will then progress to the next round with the worst team going home. This is in contrast to the current format where the best two teams from a group of four go through to the next round. Currently, in the final round of group matches all four of the teams in the group play simultaneously. However, an immediate implication of the new format is that this will no longer be the case. Instead, one of the teams will have finished their group matches before the other two teams play each other. This could have important implications for the incentives of the teams involved. To see this we can recall a very famous match played under similar circumstances between West Germany and Austria at the 1982 World Cup. The results of the earlier group games meant that if West Germany beat Austria by one or two goals to nil both teams would progress to the next round. Any other result would mean that Algeria progressed at the expense of one of these two teams. The way in which the match played out was that West Germany scored early on and much of the rest of the game descended into farce. Both teams refused to attack or tackle their opponents, as they had no incentive to so (see here for some clips of the action, or lack of!). There is no evidence to suggest that West Germany and Austria had come to a formal agreement to do this. Instead, the two teams appear to have simply had a mutual understanding that refraining from competing would be beneficial for both of them. This is exactly what economists refer to as tacit collusion – a mutual understanding that refraining from competition and keeping prices high benefits all firms in the market. Much like the fans who had to sit through the farce of a game (you can hear the frustration of the crowd in the video clip linked to above), the end result is harm to consumers who have to pay the higher prices or go without the product. For this reason governments use competition policy to try to stop situations arising in markets that make the possibility of tacit collusion more likely. One way in which this is done is by preventing mergers in markets where tacit collusion appears possible and would be facilitated by the reduction in the number of firms as a result of the merger. The equivalent for the World Cup would be preventing a change in the format of the competition. An alternative approach is to tinker with the rules of the game in order to make collusion harder. FIFA seems to have some awareness of the possibility of doing this as it is suggesting that it may require all tied games to extra-time and then a penalty shoot-out in order to determine a winner. Clearly, this would go at least some way to alleviating concerns about tacit collusion in the final group matches because coordinating on a draw would no longer be possible. In a similar fashion, competition authorities can also intervene in markets to change the rules of the game (see for example the recent intervention in the UK cement industry). Therefore, more generally, the World Cup example highlights the fact that variations in the structure of markets and the rules of the game can have significant effects on firms’ incentives and this can have important consequences for market outcomes. It will certainly be fascinating to see what rules are imposed for the 2026 World Cup and how the teams taking part respond. What is the difference between tacit collusion and a cartel? Why does a reduction in the number of firms in a market make collusion easier? What other factors make collusion more likely? How does competition policy try to prevent the different forms of collusion? We all know that our spending changes during the Christmas period: namely we spend a lot more than during the rest of the year. This applies across the board – we buy more clothes, food and drink, even though each day, we can generally only wear, eat and drink the same amount as usual! This has some interesting points from a behavioural economics stance, but here I’m going to think about the impact of this on some key retailers. Marks & Spencer have previously made headlines for the wrong reasons: poor sales on clothes and the need for serious restructuring of its stores, target audience and marketing in order for this long-standing retailer to remain current and competitive. Although sales were expected to rise in the Christmas period, they did significantly better than expected, with sales growth of 2.3%, above the expected 0.5%. More encouragingly, this growth was not just in food, but in clothing and homeware as well. This is consistent with the Chief Executive, Steve Rowe’s comments that despite the timing of Christmas adding around 1.5% to clothing and home sales growth, the recovery was also due to “better ranges, better availability and better prices”. 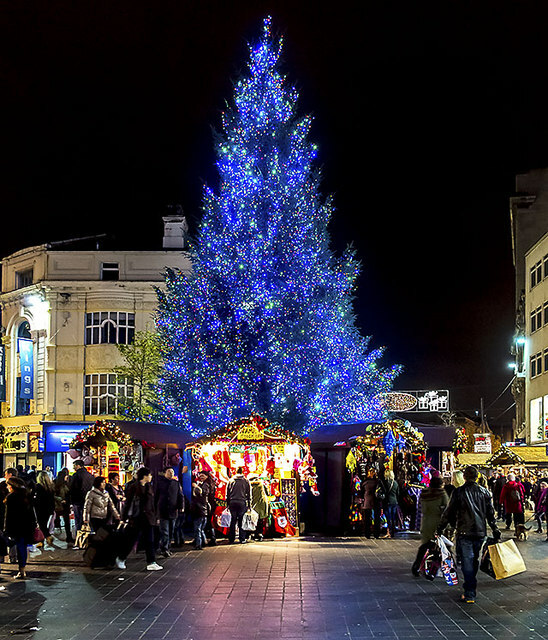 It appears as though many other retailers have experienced positive growth in Christmas sales, with the John Lewis Partnership seeing like-for-like sales growth of 2.7%, with Waitrose at a 2.8% rise. The other interesting area is supermarkets. Waitrose and M&S are certainly competitors in the food industry, but at the higher end. If we consider the mid-range supermarkets (Asda, Morrisons, Sainsbury’s and Tesco), they have also performed, as a whole, fairly well. The low-cost Aldi and Lidl have been causing havoc for these supermarket chains, but the Christmas period seemed to prove fruitful for them. Tesco saw UK like-for-like sales up by 1.8%, which showed significant progress in light of previously difficult trading periods with the emergence of the low-cost chains. Q$ was its better quarter of sales growth for over five years. One of the key drivers of this growth is fresh food sales and its Chief Executive, Dave Lewis said “we are very encouraged by the sustained strong progress that we are making across the group.” However, despite these positive numbers, Tesco only really met market expectation, rather than surpassing them as Morrison, Sainsbury’s and Marks & Spencer did. Perhaps the stand-out performance came from Morrisons, with its best Christmas performance for seven years. Another casualty of the low-cost competitors, it has been making a recovery and Q4 of 2016 demonstrated this beyond doubt. Like-for-like sales for the nine weeks to the start of 2017 were up by 2.9%, with growth in both food and drink and clothing. Morrisons has been on a long and painful journey, with significant reorganisation of its stores and management. While this has created problems, it does appear to be working. So it seems to be success all round for traders over the Christmas period and that, in many cases, this has been a reversal of fortunes. The question now is whether or not this will continue with the uncertainty over Brexit and the economy. Why have the big four in the supermarket industry been under pressure over the past 2 years in terms of their sales, profits and market share? How have the changes that have been made by M&S’ Chief Executive helped to boost sales once more? Share prices for supermarkets have risen. Illustrate why this is on a demand and supply diagram. Why has Tesco, despite its performance, seen a fall in its share price? What are the key factors behind Morrison’s success? What type of market structure is the supermarket industry? Does this help to explain why the big four have faced so many challenges in recent times? 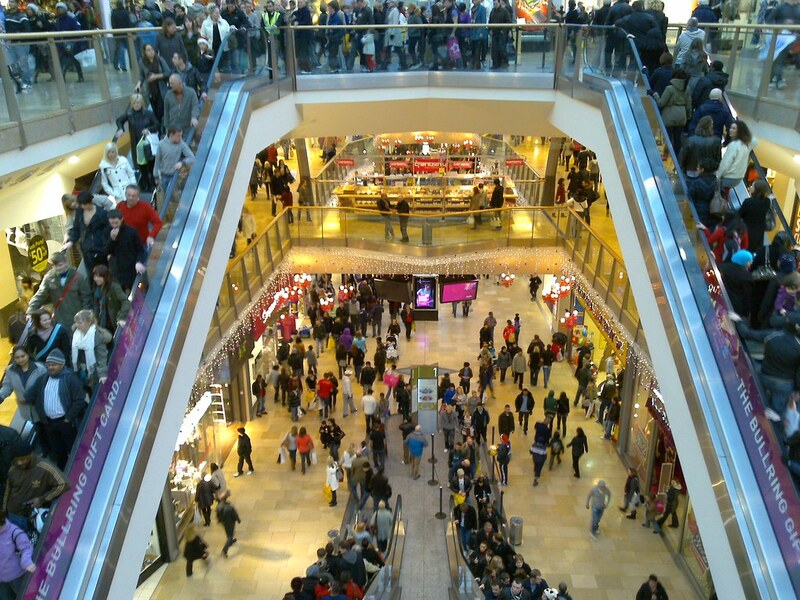 If there has been a general increase in sales across all stores over the Christmas trading period, that goes beyond expectations, can we infer anything about customer tastes and their expectations about the future?